The 2015 French Bulldog Awareness Group lunch & Photo comp took place at the Mount Henry Tavern again this year. A great time was had by all with some fun activities being arranged by Anne Lampard to keep us all busy. Bon Voyage! To say a big thankyou to the Winters FBAGWA enlisted the skills of our President Ann Lampard who handcrafted this amazing throw rug which featured but a few images of of Ken & Sandra's exploits. These amazing, caring, helpful, down to earth, crazy & much loved people will be so greatly missed. 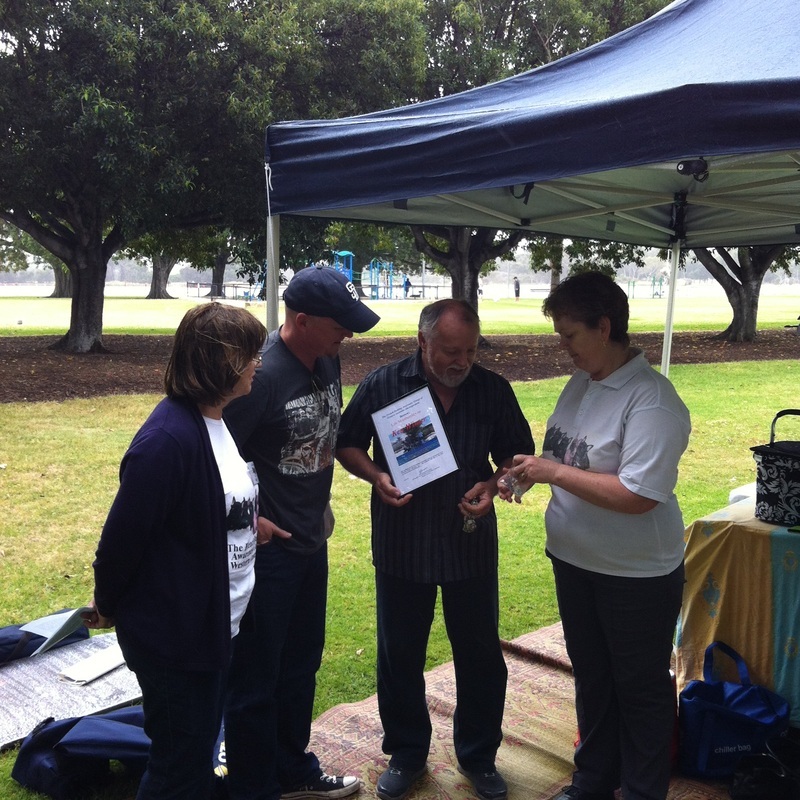 In recognition of his hard work & countless contribution to the FBAGWA President Ann Lampard, VP Jason Hudson & Treasurer Lynne Hudson present Ken Winter with his life membership at our recent picnic in the park.